Ernie has proven he has that “EDGE” in personalized service with many satisfied & repeat customers. He devotes 100% of himself to everything he does. 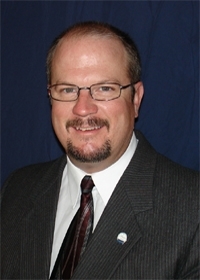 He has achieved success in his 30 years of professional real estate sales experience, by becoming a top 10% realtor. Ernie also dedicates his time to coaching & volunteer work with Habitat for Humanity. He is married and has a family of 3 children. Ernie is a man of integrity and always delivers what he promises. Call today and receive the top notch service he provides!! Welcome to my website, your complete online Real Estate Guide! My site offers access to all MLS® listings in your area with automatic customizable searches running multiple times daily… never miss out on that perfect property again! Need to sell fast? Want the best possible return on your investment? I can give you a home price estimate and then, once listed, your property will be displayed to thousands of potential buyers.